Interestingly, a question used by Fulwider & Saferstein (2006) and included in our survey implies that describing Wary Guerrillas as a Wary Cooperator subtype may be inaccurate. In the question, a player is asked to cooperate to a public goods game after several other players have made a large contribution. Surprisingly, Wary Guerrillas tended to be free-riding Egoists in the first round of the public good game. 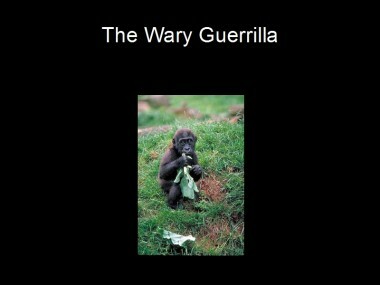 A generalized guerrilla category was defined to include both wary guerrillas and other guerillas, ie those players who accepted the unfair split and then turned around and punished anyway. Indeed, such a technique slightly improves the beta finding that the Wary Guerrillas are biased towards Egoism. This definition of Guerrillas would give us 14 Republican Guerrillas, 8 Democratic Guerrillas, and 6 Independent Guerrillas. While all of these are correlated to Wary Guerrillaism as originally operationalized, only monism is still correlated with the generalized guerrilla type. Even more interestingly, when the effect of personality on Wary Guerrillas is analyzed, using a short Big 5 personality scale, (Gosling, Rentfrow, & Swann, 2003; Whitacker, 2006 ) the Wary Guerrilla is associated with different personality types than the â€˜Otherâ€™ Guerrilla. Meanwhile the Other Guerrilla is only significantly associated with Openness with an R2 of .043. The only personality trait outside of Agreeableness and Openness that a generalized â€œGuerrillaâ€ category was (barely) related to on the personality factors was neuroticism, with a negligible R2 of .022.